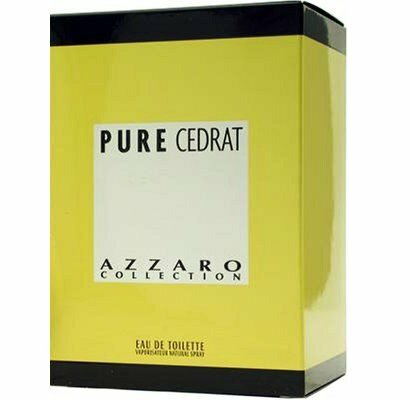 Pure Cédrat is a perfume by Azzaro / Parfums Loris Azzaro for men and was released in 2002. The scent is citrusy-fresh. The production was apparently discontinued. One of the nicest and more peculiar recent scents by Azzaro, which since a couple of decades seems aiming at producing duller and duller cheap scents one after another. Pure Cedrat is surprisingly decent, and surprisingly “outdated” in a really pleasant way. Basically it is a really mannered and elegant citrus-neroli fragrance with lavender and a herbal-mossy-musky undertone, and the citrus here is not a blast of synthetic “sport” stuff but a refined, really natural “citron” note – the name “Pure Cedrat” refers to that in fact (contrary to what many would expect I guess, as this has nothing to do with cedarwood). The result is a distinguished juice evoking classic products from Eau de Rochas to many “Monsieur de”, to vintage Eau Sauvage, to a good old fresh glass of fizzy citron juice. Azzaro smells thinner, a bit cheaper and more modern than many of those classic scents, but it has that same irresistible subtle touch of French “dirtiness” that many masculine fragrances had in the past (not Derby or Jicky kind of raw dirty, rather a more discreet touch of something mossy-musky which speaks “vintage” to me – that sort of “moldy” aftertaste). Imagine that, blended with the graceful, bracing, slightly fruity notes of citrus, citron and neroli. And the fact it smells less complex and less austere than many classic fresh fragrances for men would be a plus for many people, since I guess this it makes Pure Cedrat a bit more unisex and more appealing for younger targets which I guess don’t usually crave for that “grandpa” feel. Pure Cedrat basically blends a modern/mainstream vibe with classicism, and I like that since it does it in a really balanced and honest way. It’s nothing complex and nothing groundbreaking, but it’s a healthy breath of elegance from a (nowadays) exceedingly dull brand. Sadly the other two fellows of this “collection” - Pure Lavender and Pure Vetiver - aren’t this good, but this one is worthy a sniff. Write the first Review for Pure Cédrat!